Travel to your next big company event in a comfortable and professional motorcoach provided by National Charter Bus Austin. 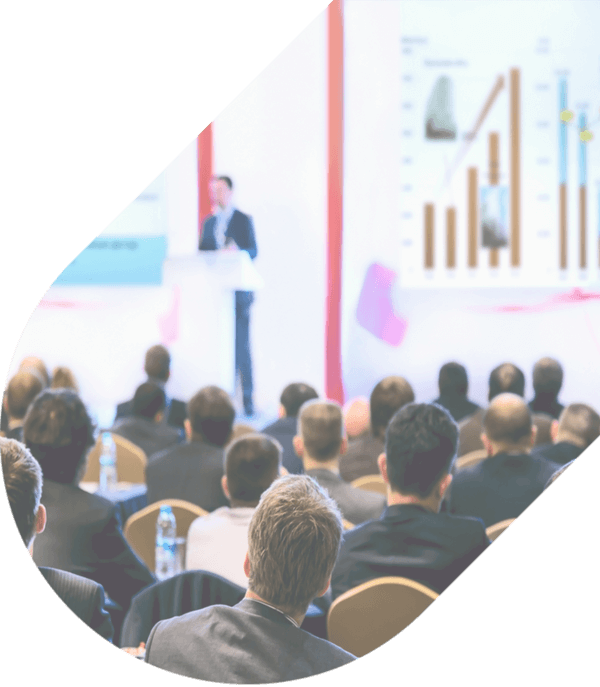 We’ll help your business group throughout the rental process and ensure everyone makes it to your planned business event. Arrive to Austin conventions, conferences, meetings, and more with a private full-sized motorcoach or minibus. Give us a call at 512-546-6019 to get the rental process started today. National Charter Bus Austin is one of the top group rental services in the country. With access to thousands of buses across Austin and other major cities, National Charter Bus is the premier servicer for business groups. Everyone will arrive in comfort to your next major business meeting in an efficient and timely manner. Arrive on-time, every time with National Charter Bus Austin. We only work with the top bus providers in Texas to give our customers a wide range of premium buses to choose from. The fleet of buses we charter includes modern and sleek coaches with up-to-date safety features and additional amenities. Impress out-of-town business guests with a sleek bus to shuttle everyone to and from meetings, conventions, and more. Your professional driver will get your group to locations like the Austin Convention Center or The Palmer Events Center with ease. Different groups can find the best bus to meet their needs with National Charter Bus. Full-sized motorcoaches are perfect and spacious enough for large groups of up to 56 passengers. These large options include plenty of storage space, luggage bays, and legroom for groups to travel with any necessary work equipment. Minibuses come in a variety of sizes ranging from 18-passenger to 25-passenger models to easily accommodate small to medium-sized groups. 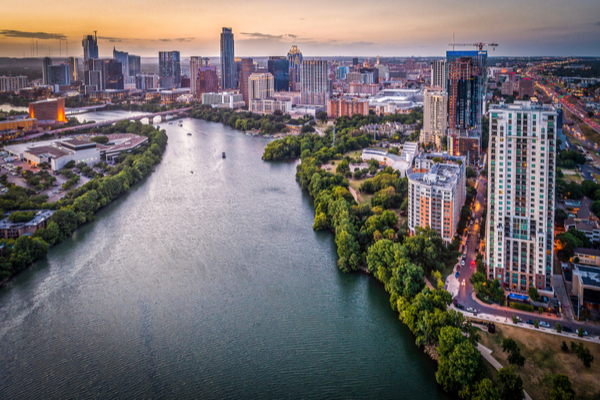 When you rent a bus through National Charter Bus Austin, you can choose a bus with additional amenities to optimize comfort and productivity. You can equip your bus with WiFi, power outlets, televisions with DVD players, and more. Get some work preparation done before a big business meeting or relax before the event in plush, reclining seats. Ready to book group transportation for your company’s next business outing? National Charter Bus is here to help you through every step of the rental process. Our rental experts will help you find a bus based on your group’s travel needs and specific Austin itinerary. Call us today at 512-546-6019.